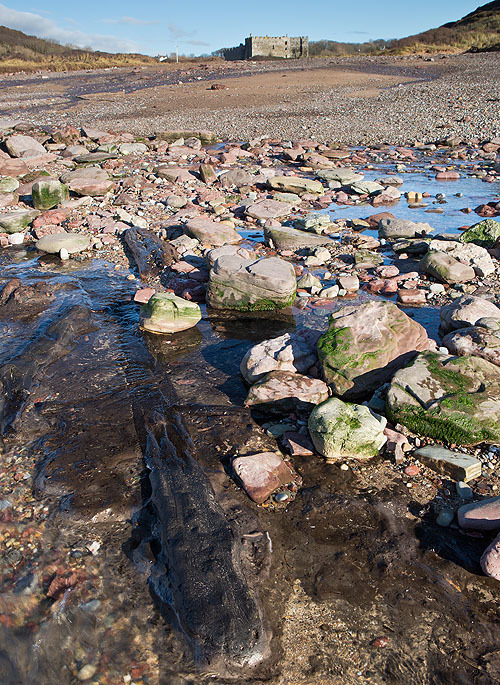 The new year storms of 2014 scoured the beach at Manorbier , revealing peat deposits and tree trunks in the stream flowing across the beach. The remains of the " drowned forest" , submerged about 6,000yrs ago , are normally covered with sand and pebbles. The submerged forest can usually be seen at Amroth and Abermawr.